Do you want to know about baby cockatiels? Here’s the scoop! 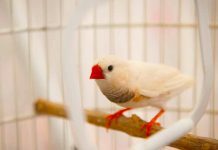 If you are looking for a cute feathered friend instead of a furry companion, then a cockatiel may be just what you want. Cockatiels are a lot like parrots when it comes to their intelligence and personalities, and the birds are also gentle and sweet. The amenable cockatiel can be adopted at around the three or four month age mark, and the birds grow quite a bit between the time they hatch and when you take your new pet home. So, what does a baby cockatiel look like and what are the baby stages of development? 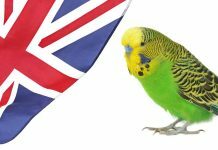 Well, we’ll explore these things and more, so you can be familiar with your new bird! What Do Baby Cockatiels Look Like? If you have ever seen a baby bird, then you know they can look a bit odd, and even alien-like, without feathers. This is true of the cockatiel when it first hatches. But, do not worry, the birds will look cute in no time. Before the hatching process begins, mother cockatiels lay between three and six eggs. These eggs are incubated for about 21 days. Like many other birds, cockatiel male and female pairs switch on and off, taking shifts sitting on eggs until they hatch. The male or female will take the day shift, while the other sits during the night. When it comes close to hatching time, the chicks can often be heard making quiet peeping or chirping noises. This is a clear indication that the chicks are ready to begin the hatching process. Hatching can take several hours to complete, and since eggs are laid a few days apart, chicks will generally hatch in the same order. The baby chicks, which are called hatchlings, appear pale with no feathers. The skin looks light pink and textured and the eyes are closed at this time. The head is large with a small beak peeking out, and this beak is pale in color like the skin. Within about 24 hours, cockatiel hatchlings look quite different from their original pale appearance. In fact, they start to develop a small bit of fluff, which helps the birds retain heat. Cockatiel chicks are unable to stand at first, so they may be seen gently lying on their side or back. The male and female cockatiel adults take turns sitting on the chicks to ensure they are warm. The parents also feed the chicks regularly. What do baby cockatiels eat? Well, the food is a diet of partially digested and regurgitated material. In other words, food is eaten by the adult birds and then brought back up through the esophagus to feed to the chicks. The cockatiel parents may reject one or several of their young the first day or two after they hatch. This can happen due to a deformity or a birth defect. Also, some first time bird parents can become confused about the hatchlings and how they should be cared for. Confusion leads the parents to kick the hatchlings out of the nest and they sometimes get killed and eaten. It can be incredibly startling to see an incident involving young baby cockatiels. Cockatiel parents that have been hand fed and raised completely in captivity are most likely to injure or reject their own chicks in confusion. If the baby cockatiels are pushed out of the nest, then hand feeding baby cockatiels may be necessary. The Hagen Avicultural Research Institute (HARI) has some in-depth information on the best way of hand feeding baby cockatiels so they are provided with the best nutrition possible. Specifically, when it comes to the birds, a high protein diet is recommended, and this diet can be one made at home by the breeder or cockatiel owner. Interestingly enough, studies show the ideal cockatiel diet is similar to that of poultry chicks. If the baby cockatiels make it through their first 24 hours, then you may think that rejection is unlikely. However, it is still a concern until the chicks are weaned. Many rejections occur due to the presence of protozoan parasites, worms, and infections. Bacterial, fungal, and viral infections can all affect birds. For example, aspergillosis is a type of fungal infection common in young chicks. 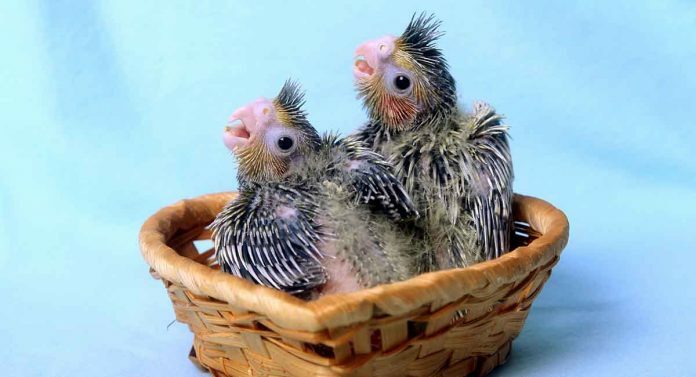 It can lead to pneumonia, and a mother will often push a young cockatiel out of the nest before the fungal infection is able to spread. Unfortunately, environmental factors, like the use of wet nesting materials, can lead to both bacterial and fungal infections. So, if one chick is ill, the others ones are likely to get sick too. This is why it is incredibly important to investigate every situation of rejection. Many breeders will err on the side of caution and remove the remaining baby cockatiels if one chick is rejected. This is one reason why an entire brood of cockatiels may be hand-fed, even though the parents are healthy. So, the fluffy chicks make it through their first 24 hours. What happens then? Well, the babies soon start to stand on their feet. This happens about one week after hatching, but the cockatiels are far from steady. Thankfully, the birds become more and more confident as they age. Within the first week, you will start to see some feathers developing. These are the pin feathers that look like simple shafts. At the 10 to 14 day mark, the baby cockatiels appear quite a bit bigger and are four to five times their original size. Claws start to develop and the chicks start to form a gray tone as more and more feathers appear. The eyes are usually open at this point. At three weeks, the baby cockatiels are confident on their feet. They stand well on two legs. However, walking is still a bit shaky and the birds are unable to balance on one foot. The eyes are wide open, bright, and ready to take in all the sights. Cockatiel babies have grown quite a bit at this point and substantial feather formation is visible with a distinctive gray, white, and yellow tone. The original white fluff is all but gone at this point, and the beak is firm, long, and defined. You may start to see the cockatiel babies starting to spread out their wings at one month of age. They are not ready for a workout just yet, but the outward stretching is certainly a sign of flight preparation. The first signs of flight come at around the five week mark, and you will see the wings slowly flapping with spread feathers. The birds also spend more time exploring as they walk around and inspect cages and nesting boxes. At between five and six weeks of growth, young cockatiels start to test out their beaks by cracking seeds. They still cannot feed themselves, though, and they continue to rely on their parents for food. Parents will continue to feed their chicks for a few more weeks, and most will be weaned by 10 weeks. So, when do baby cockatiels eat on their own? Well, this depends on the chick. Some chicks take longer than others to learn how to feed themselves, so it is not strange to see one or two of the baby cockatiels lagging behind the others when it comes to weaning. Basically, feeding will be independent between eight and twelve weeks of age. At about six or seven weeks, the birds attempt their first flight. This is a sign of independence and the cockatiels will have good feather coverage at this time. You will see the birds experimenting when it comes to food, water, and flight. About two weeks after the birds are fully weaned, they are ready for adoption or movement to an independent cage. The birds are usually about 12 weeks old at this point. Baby cockatiels go through a miraculous transformation over the course of 12 weeks. They go from pale, featherless, and helpless babies to independent birds that are ready for their forever homes. During the entire development process, breeders need to ensure that the babies are healthy and forming properly. 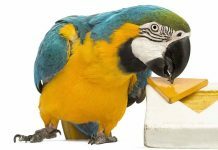 This is one reason why it is so important for you to understand this process, as a potential bird owner looking for your lifelong pet. Do you have more questions about cockatiel chick care, or are you experienced with hand feeding baby cockatiels? Roudybush T. E. and Grau, C. R. (1986). Food and eater interrelations and the protein requirement for growth of an altricial bird, the cockatiel (Nymphicus hollandicus). Journal of Nutrition, 116(4). My Cockatiels had two babies which are almost 4 weeks ( 3/4 and 3/5). Today when I checked on them, there was an egg in nesting box! And it looks like one baby is missing feathers from the back of its head. Do I remove egg (s) till baby’s are out of nest and on their own!